Hmmm.....what else does it need. The 12V starter motor has stopped working, so we're half way through a 24V conversion, to a "proper" starter. 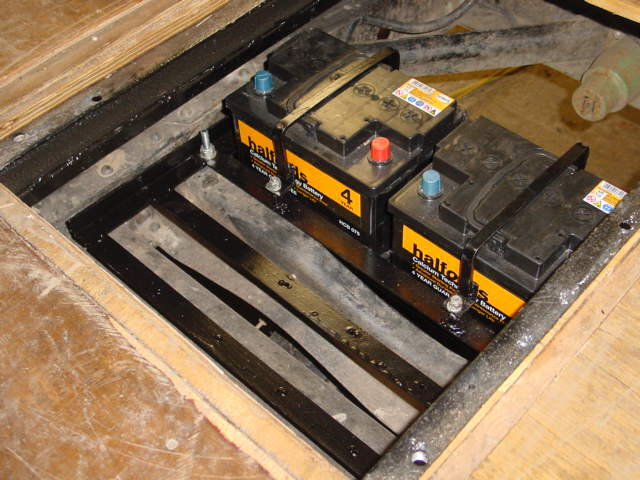 Obviously you need more batteries and somewhere to put them, so I've knocked up a nice battery holder to fit over the rear axle, underneath the bed. There's a hatch in the back bed and it fits in lovely. 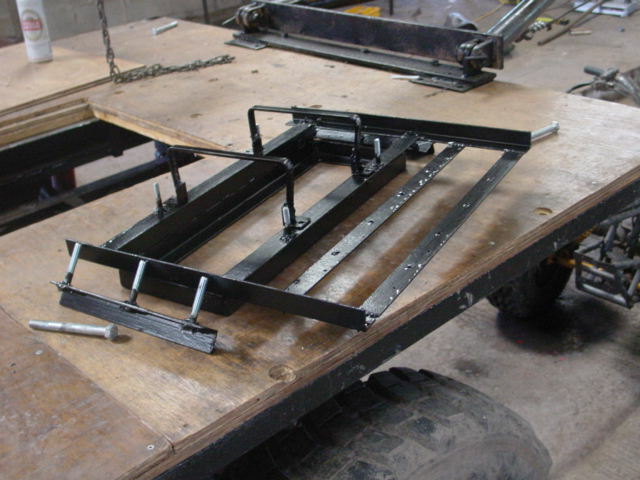 It's not bolted to the chassis, but clamped in with just a touch of rubber. Said the vicar. 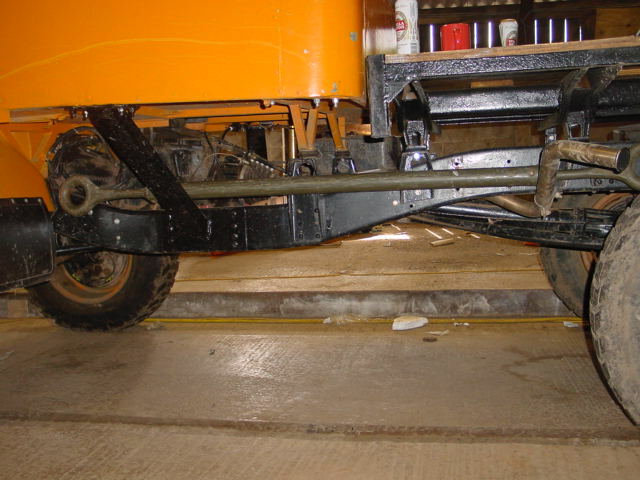 The angle iron at the front is for bolting random selenoids and things to. 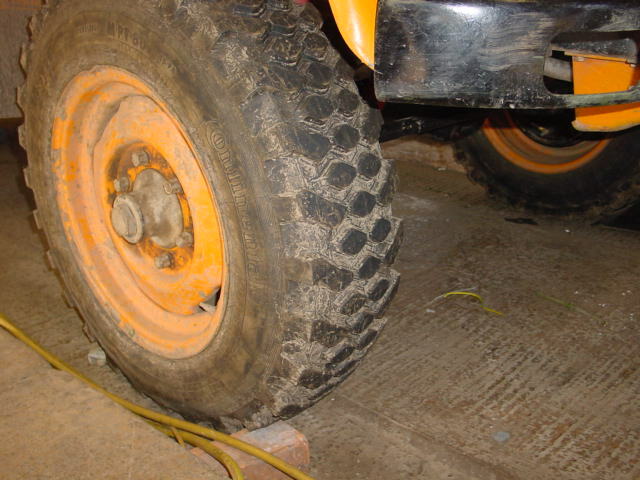 We have had fairly crap tyres for a while - a pair of refuse wagon tyres and a pair of 40 year old mil specs. Not good, and you could feel how little grip the front had on mud. Not anymore! We've only got one pair at the moment, although the other pair should be along soon. 10 ply Conti MPT80 tyres, very nice and professionally fitted. The old ones were 14 ply, and not perfectly straight, got a mild wobble at speed. 'tis like a limo now. 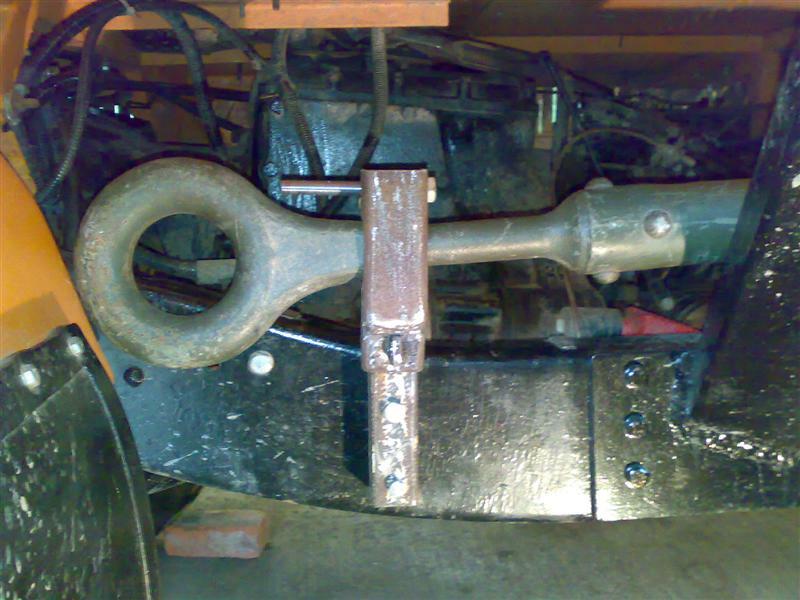 Now, where to put the towing bar? It's just a bit longer than the bed, and the batteries stop it going under the bed, so down the side. It's a perfect fit, and I even have a couple of original mounting parts to help. Watch this space. Part one done, made to lock and plenty strong enough. It's made out of an old gate (oddly enough) and the mog rifle strap. It's rubber mounted so will allow for flex.